eBay’s new “Fill Your Cart With Color” brand platform has now fully rolled out (most recently in the UK) -- but do you know what it really means to you as our partner, and how it can impact your bottom line success? Recently our Head of Marketing, Marie Langhout-Franklin, gave the inside scoop to a group of affiliates in a detailed presentation about what eBay is up to, and why it matters to you. The following video has a lot of specific information about and examples of the new positioning, creative applications, and advertising and marketing promotional pushes. As Marie points out, the overarching goal of EPN is to help capture new audiences while creating opportunities for you to provide a more optimized experience for your readers. Some people think that eBay is maybe a garage sale site, or a place to find vintage items. They don't necessarily think of eBay as 80% new inventory. And they don't necessarily associate fast shipping with eBay. In re-platforming the brand, the goals included defining what eBay is today, slash misperceptions, and to make the brand relatable to today’s customers, so they truly believe in their heart of hearts that we know what they want. This is a lifestyle shift. From there, eBay was able to lock in a new brand platform, and articulate this identity shift. The new framework began rolling out this past summer. In order to really extend this foothold, according to Marie, we want to work with you, our partners -- who are one of our biggest traffic sources into eBay -- to understand how to facilitate that shift. This is why it’s important you are informed about the key points of the new positioning. eBay is focused on the best merchandise for people to express their own individuality. “Fill Your Cart With Color” communicates the core messaging: It’s about self-expression, diversity, individuality, and discoverability. And it’s also about filling your cart not just with things, but with experiences and a diversity of interests. The word “Cart” also helps reinforce that eBay is a modern ecommerce shopping site -- not a garage sale. There is a spectrum of inventory. Marie points out that why all of this matters for affiliates is because it’s a way to talk about conversion-centric marketing. eBay has the inventory and the experience to be able to produce a better conversion experience for the traffic that is referred by affiliates to eBay. Further, Marie states that EPN wants our partners to be able to draft off of this messaging, as the message starts to become a lot more prolific across the sites that people visit every day. It's also about eBay’s brand guarantees. For example, already nearly 70% of eBay’s items ship for free, but now we're actually putting the guarantee behind shipping. We're also launching three-day shipping across 20 million items. If something doesn't show up within that window, eBay will send the customer a coupon and accept their return for free. So what can you do to help spread the word? 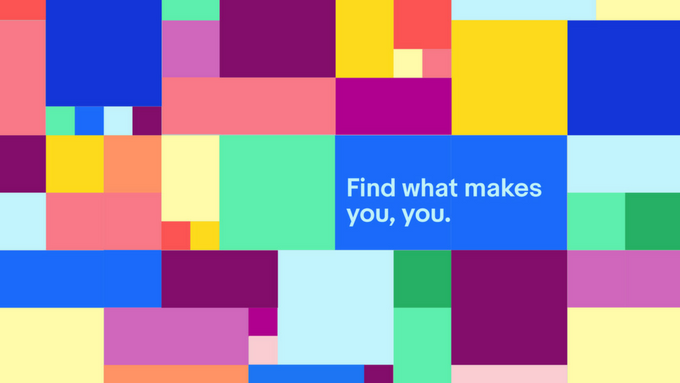 You can share the message by using our new creatives and amplifying the message about eBay is today. With the upcoming holidays, the benefits of the new “Fill Your Cart With Color” brand platform -- including an abundance of new inventory and fast and free shipping -- are well worth highlighting. You’ll up your affiliate earnings potential when your audience fills their carts with color! What’s your experience with the new “Fill Your Cart With Color” brand platform? Tell us in the comments below.